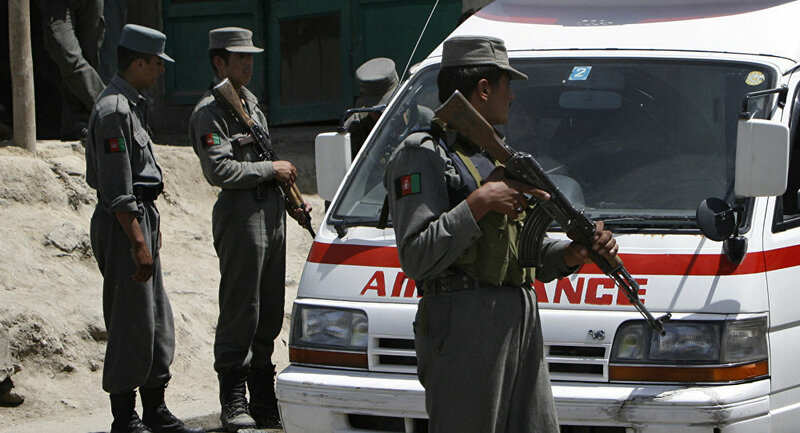 A blast hit the Afghan province of Takhar amid the government's ongoing operation against the Taliban. MOSCOW (Sputnik) — At least two people were killed and eight more were injured in an explosion that hit a hotel in the Ishkamish district of the northern Afghan province of Takhar, the 1TV News broadcaster reported Sunday, citing local police. The security situation in the country has been deteriorating over the last few months: in this week alone, Afghanistan has been hit by two blasts. On October 20, an explosion hit the central Afghan province of Ghor and claimed the lives of 60 people. The next day, 15 people were killed and four wounded as a result of another blast in the area of the Marshal Fahim Military Academy in Kabul. The country has been long suffering from terrorist attacks carried out by numerous terror groups operating in the region, including the Taliban, which vowed to continue jihad (Holy War) after the revelation of the new US strategy in Afghanistan, which Trump unveiled in August. According to the strategy, the US would increase its military presence on the ground due to the expanding terrorist threat and the growing activity of militants. The Afghan security forces have recently killed more than 400 terrorists from the Taliban movement (a terrorist group, outlawed in Russia) in military operations held across the southern Helmand province over the past three months, the Tolonews broadcaster reported Sunday citing local officials. In addition, 65 militants were injured and 150 more were arrested. "The Taliban [terrorists] are no longer capable of facing the security forces in the province … If the Taliban does not join the peace process, the group will be destroyed by the security forces," provincial governor Hayatullah Hayat said, as quoted by the broadcaster. — 探偵 ‌Sulaiman (@DreamF4ll) 21 мая 2017 г. The National Defense and Security Forces have been tackling terror groups with the support of the US-led anti-Daesh coalition since 2014 after most foreign insurgents left the country. The Taliban terrorist group currently controls around 40 percent of Afghanistan and aims to topple the government, backed by Americans, in order to establish caliphate rule in the country. Later in the day, the US-led coalition Saturday's airstrikes killed about 40 Daesh militants in the Achin district of the Nangarhar province, the Khaama Press news agency reported, citing local security officials. The operation targeted a suicide bombers' training camp, the media outlet noted, adding that at least two trainers of the terror group were killed in the attack. The airstrike also destroyed Daesh ammunition, explosives and several weapons, belonging to the militants.